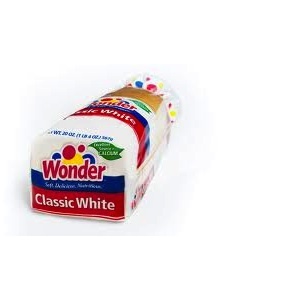 On Checkout 51’s list this week (Sept 26-Oct 2, 2013) is Wonder Bread, any Wonder® or Wonder+™ Loaf. WONDER+ White Loaf with Fibre provides Canadian families with the taste and softness they love plus added fibre and the nutrition they need. Made with simple, real ingredients, new WONDER+White Loaf with Fibre has no artificial preservatives, artificial colours or artificial flavours. And like allWONDER bread, it’s rich with vitamins and minerals to help children grow and stay healthy. With 13 essential nutrients, WONDER+ White Loaf With Fibre is a nutritious source of fibre with the taste kids love. You will get $1.00 cashback rebate at Checkout 51. Here’s a pic of what it looks like. I found a couple prices of it at a few stores. Checkout51 offer expires midnight Wednesday Oct 2, 2013. You must purchase in Canada and upload your receipt between Thurs Sept 26-Oct 2, 2013 to qualify for the cash back rebate. Check out here for more Checkout 51 cash rebates for this week.